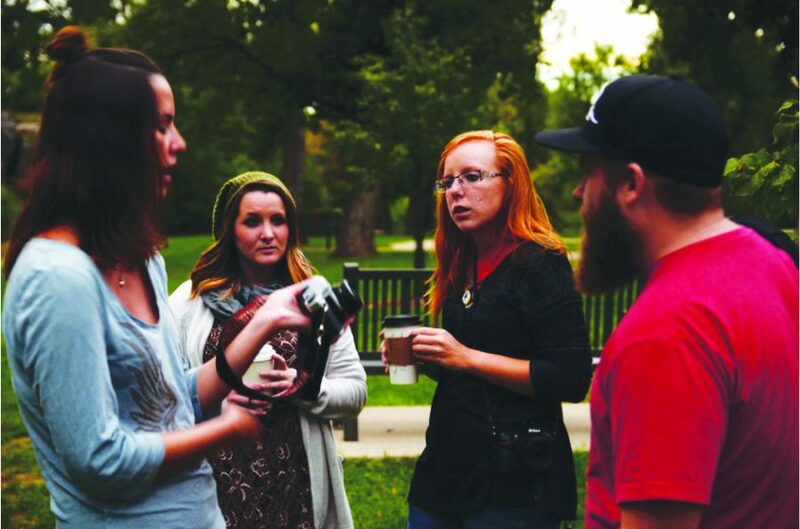 Taylor Stone (third from left) assists fellow club member with her film camera. Black Hills State University’s Shutter Buzz gathered for a photo outing at D.C. Booth Historic National Fish Hatchery in Spearfish Oct. 14. The outing was a casual get together of photography- interested students. The club spent the majority of the evening taking photos and passing around cameras. Senior members gave advice on basic and more advanced photography techniques as well as editing techniques. Aspiring photographers improved their skills and practiced in the little excursion of both relaxation and recreation. 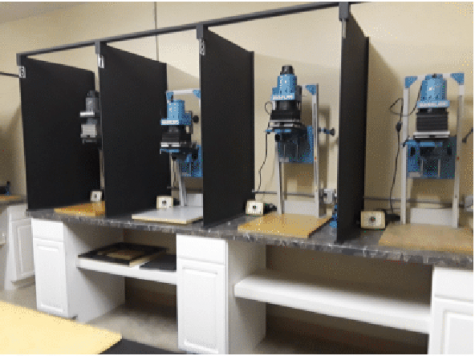 The students met in the photography lab in the evening and headed to the hatchery afterward. Students wandered both the hatchery and park, looking to nature and one another for portrait and landscape photo opportunities. 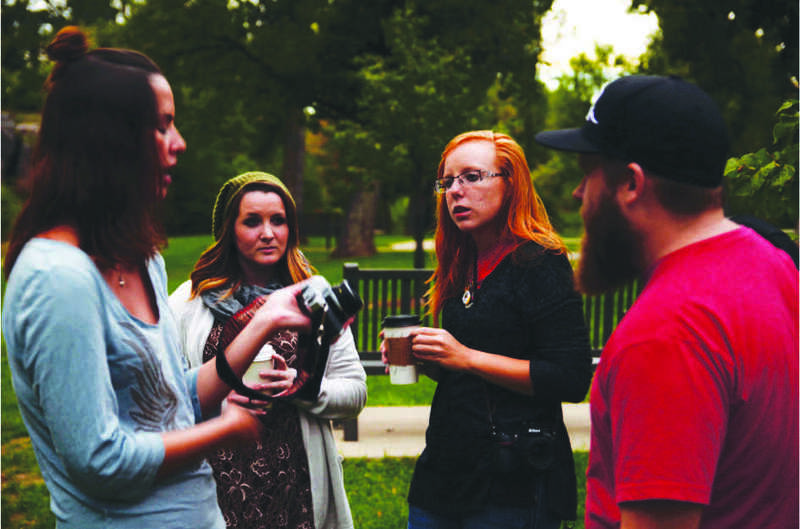 The new addition of photography as a major at BHSU was also a popular conversation piece amongst the students. Club president Taylor Stone, and member Grant Ekroth led the outing and advised new members. 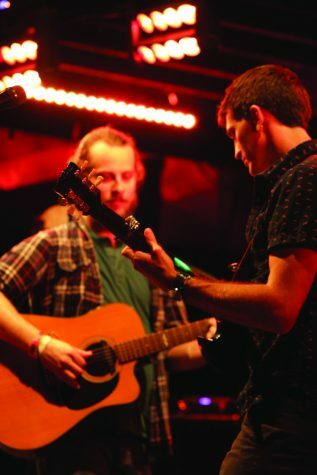 News on upcoming Shutter Buzz outings can be found on the club’s Facebook page, Facebook.com/bhsushutterbuzzclub.